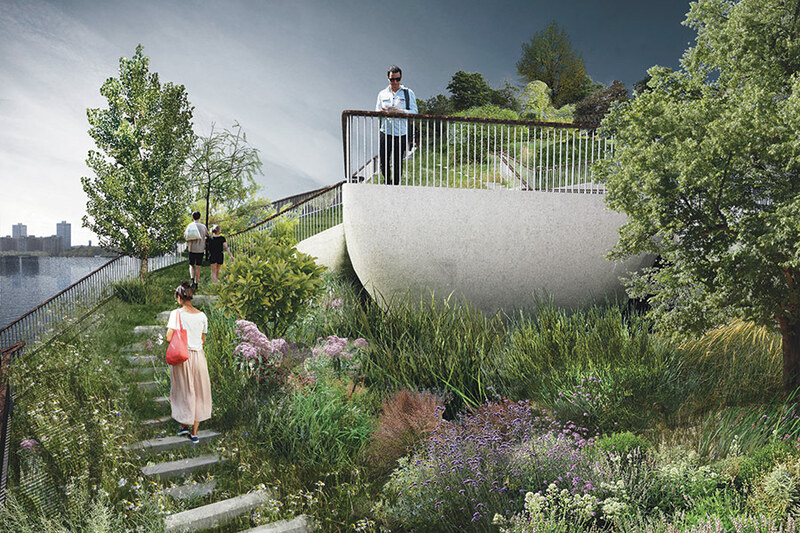 Search results for ""scape landscape architects""
Firms Mathews Nielsen and Heatherwick Studio collaborated on Pier 55 in Hudson River Park, displayed in photorealistic renderings. One would assume that virtual reality technologies that can create fantastical battlefields and solar systems for gamers would be a boon for architects, who can create nearly complete structures without turning a single shovelful of earth. For landscape architects, though, earth poses unique challenges. So do air, light, and water. With the advance of computer drafting and simulation technologies, such as architectural visualization and 3-D modeling software Twinmotion and Rhino—in addition to relatively old-fashioned tools like Illustrator and Pencil—designers are discovering new, better ways to create landscapes. They enable designers to represent detail at microscopic proportions. 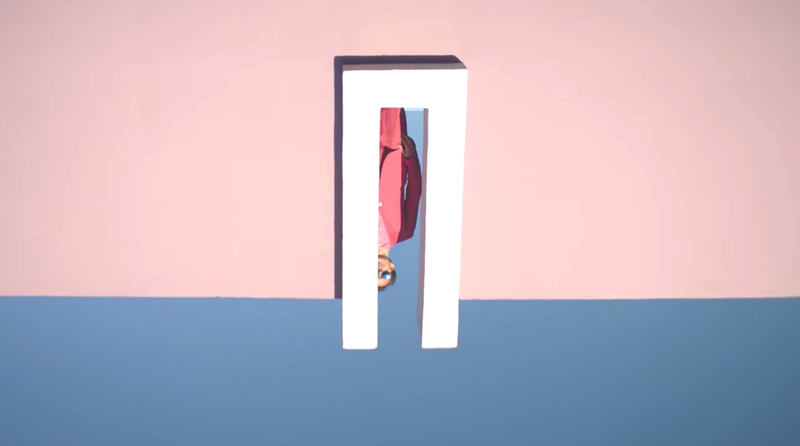 They can place viewers in virtual environments that seek to mimic the experience of seeing the proposed landscape. 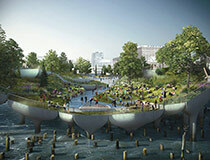 “Every image, every piece of that visualization is a design decision,” said Signe Nielsen, principal at Mathews Nielsen Landscape Architects, which recently collaborated with Heatherwick Studio on Pier 55, a proposed park-pier on the west side of Manhattan. Visioning exercises, in which designer-activists seek to change the public’s thinking about a landscape, if not to change the place itself, are blurring the lines between technology and earth and between designer and public. As inherently public creations, many landscape projects lend themselves to stakeholder and public-sector input more so than private developments. They must serve the people who look at them as much as they do the people who own and use them. They also must fulfill multiple goals. A park may also be a habitat for native species. A highway median may also absorb storm water. A golf course can offset a heat island. A landscape can extend up to the stratosphere and down to the water table. Every piece of land is influenced by temperature, geology, precipitation, and countless other invisible factors. 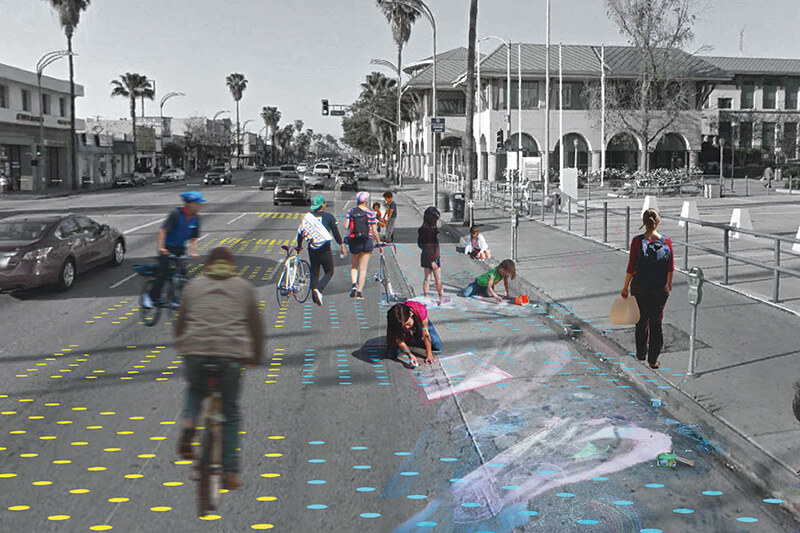 Connect the dots uses low-tech materials to visualize opportunities for storm water infiltration in the Los Angeles neighborhood of Pacoima. The revolution in computer technologies has given architects and landscape architects a dazzling array of new tools. Those tools, though, may not necessarily be as useful as they appear—especially for landscape architects—and they must be used with discretion. Static renderings, drawn by hand or with Illustrator, might capture the appearance of a landscape—at a certain moment, from a certain angle—but they cannot express the entirety of its purposes nor the ways that they serve flora, fauna, and people. A landscape may not fit into a neat box for the eye to behold, even with the most advanced visualization software. More so than many other public projects, Pier 55 sprang fully formed into the public consciousness. Funded in part by media titan Barry Diller, the park has been fashioned as more of a gift than a public amenity. The firms used Twinmotion to create renderings of the whimsical space that promises to be the waterfront equivalent of the High Line. It’s the distinctive sort of project that might literally be unimaginable, and unsalable, without visual aids. 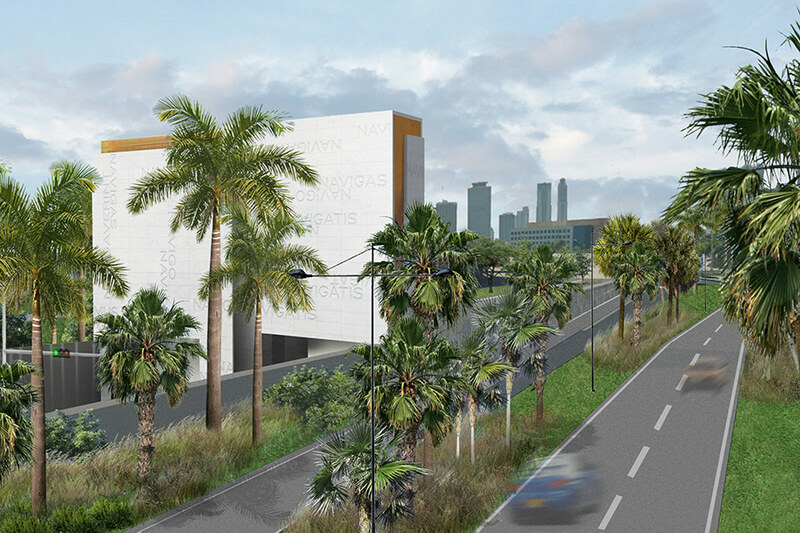 Arquitectonica designed the portals and landscaping to the new PortMiami Tunnel. What Nielsen would use to present a finished work of starchitecture, though, might not have gone over so well with a more nascent project. “The first and most important thing is to calibrate the type of visualization with the stage in the process, particularly for outreach,” said Nielsen. The trouble is twofold: Programs’ capacity for detail can often outstrip designers’ own imaginative capacities, especially when a project consists largely of vegetation. And a project that appears complete and polished on screen can, intentionally or not, be an affront to stakeholders who wish to contribute their own ideas or public officials who are given to scrutiny. These situations may call for old-fashioned representations. Therefore, designers must use technology judiciously, being careful to impress but not to overwhelm the public. With the likes of Diller and other big clients, though, they might take the opposite tack: creating dazzling renderings to land a commission or sell units in a residential development. The director of the Landscape Morphologies Lab at the University of Southern California, Alexander Robinson, created the “Owens Valley Machine” to help stakeholders envision the restoration of Owens Lake. Using the machine, right, they can manipulate the habitat’s elements and then print out a post card of their creation, left. For all its anonymity, California’s Owens Lake is one of the most adulterated, and long-contested, landscapes in the United States. The 1913 opening of the Los Angeles Aqueduct appropriated the lake’s tributary streams and left a toxic dustbowl. For generations, engineers have tried to restore the lake and cut down on dust pollution. The director of the Landscape Morphologies Lab at the University of Southern California, Alexander Robinson, thinks they might be doing it wrong. Robinson came up with his own method of imagining what Owens Lake can become. Resembling a 1980s arcade game console, the Rapid Landscape Prototyping Machine for the Owens Lake Dust Control Project (or Owens Lake Machine), invites participants to create their own versions of Owens Lake—ideally, versions that are functional, aesthetically pleasing, and respectful of the place itself. “We took place-making experience and aesthetics, and inserted those values into a design paradigm of operations, habitat design, and resource management, so it’s a response to the idea that maybe we could make an interface for designers that creates a dialectic,” said Robinson. Users can decide how much water the lake should contain, what sort of dust-reducing berms it should employ, what angle of sunlight is most pleasing, and how many birds should be bobbing on the lake surface. A rendering program takes user input to generate two images of the lake: a human-scale view from the surface and an abstract map-like view from above. The machine then prints out postcards depicting these not-quite-imagined but not-quite-real versions of the lake, thus making it seem like an actual destination from which to write home. Robinson hopes that the keepsakes will encourage the public to think about ways that the lake can be restored and the concerns that public agencies, in a democratic society, should consider. “The social imagination is a very powerful political force and guides these projects kind of in a subliminal way,” said Robinson. Another group is leaving its virtual mark not in topography but rather in bathymetry. The Dredge Research Collaborative (DRC) is dedicated to inquiry into underwater landscapes, specifically those that are manipulated, restored, and adulterated by the process of dredging. Their research sites include New York Harbor, the Great Lakes, and Louisiana. Researchers use data-enhanced maps to represent that which is otherwise unknown precisely because it is invisible. Wirth is also conducting a project in Lexington, Kentucky. There, the firm developed a smartphone app to trace and illustrate streams flowing through the karst landscape underneath the city’s downtown. The app is accompanied by a plywood model that displays both city blocks and stream channels. The project is intended to make residents aware of these hidden waterways and to consider the natural cycles that persist even amid urbanization. Other types of visualization convey not what the land looks like—with or without deliberate design—but rather how it functions. Throughout Los Angeles’ current four-year drought, many critics have wondered why the city does not capture its rainwater or at least use it to replenish its natural aquifers. Aja Bulla-Richards, of the Arid Lands Institute at The director of the Landscape Morphologies Lab at the University of Southern California, Woodbury University, has developed a low-tech way of explaining why it’s not so easy. Richards illustrated the mysteries of permeability in a pilot project called Connect the Dots. She enlisted residents in a working class community in Los Angeles’ Pacoima neighborhood to place manhole-sized multicolored dots throughout their community. Richardson identified areas of low, medium, and high permeability, correlated with dot colors. By interpreting Richards’ data, residents placed dots in appropriate places, thus turning the landscape itself into its own data set. Richardson said that this low-tech version of augmented reality can apply to almost any set of spatially oriented information in an urban landscape. 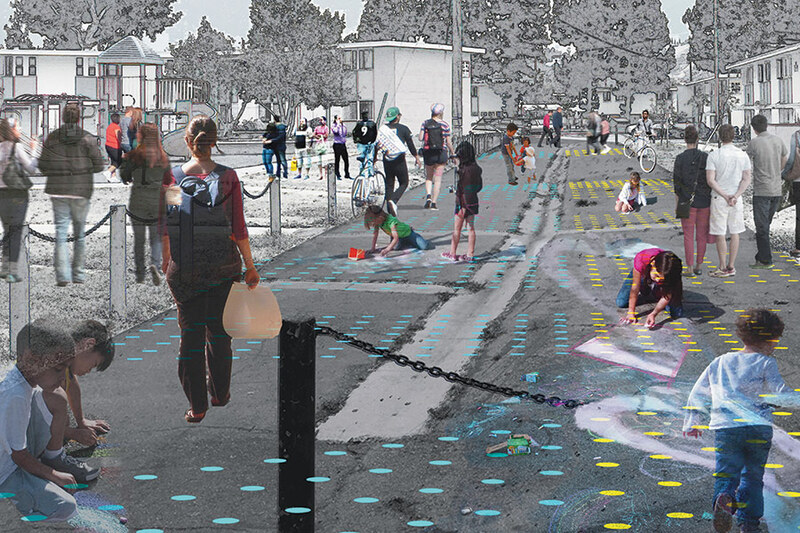 “It’s a quick, cheap transformation that allows people to think about the street differently without concerns over major investments in change,” said Richards. And ultimately seeing differently so a public can think differently about landscape and the built environment is what these visualization tools are all about. Digital software and participatory interactions have the ability to go beyond video game fantasy and engage a larger stakeholder discussion on the design and impact of real world landscapes now that there are more tools to complement, restore, and even improve what nature has given us.